the skirt. See photos. These do bleed through to the silk underneath but are not as large and not as dark. 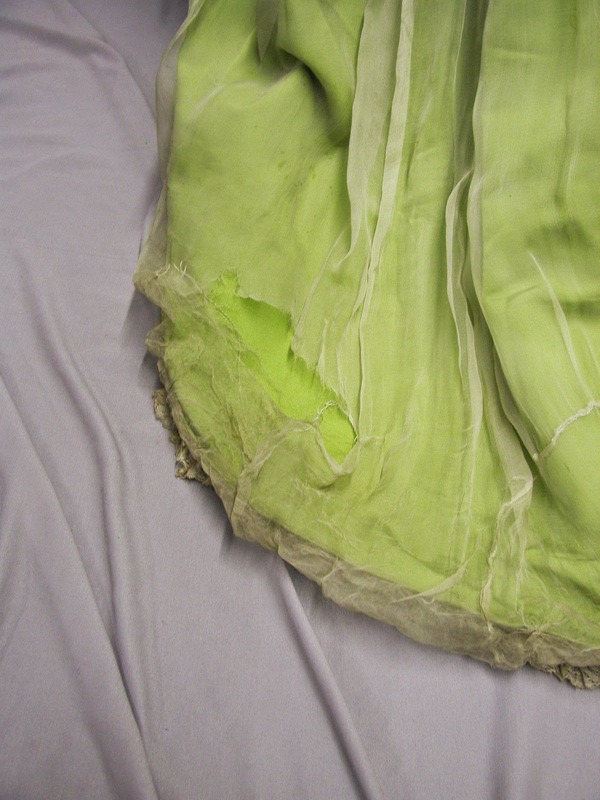 Both fabrics are still supple. 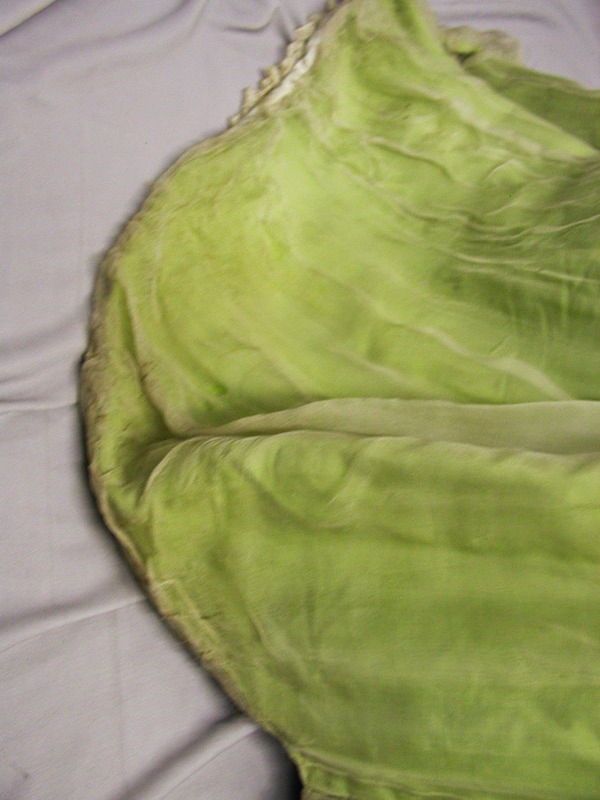 The skirt is lined in silk. 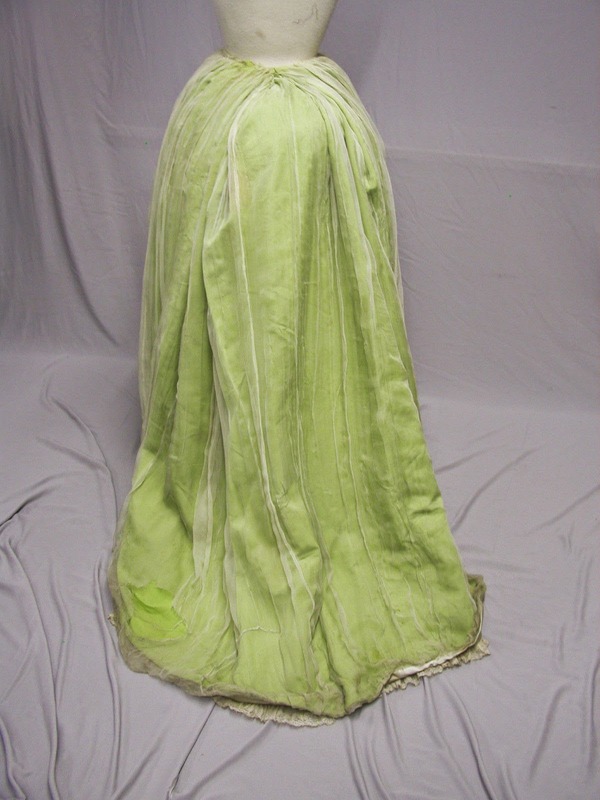 In front it has some wear and it is lined in heavy satin in the back. It is very soiled all around the bottom with a dingy look. 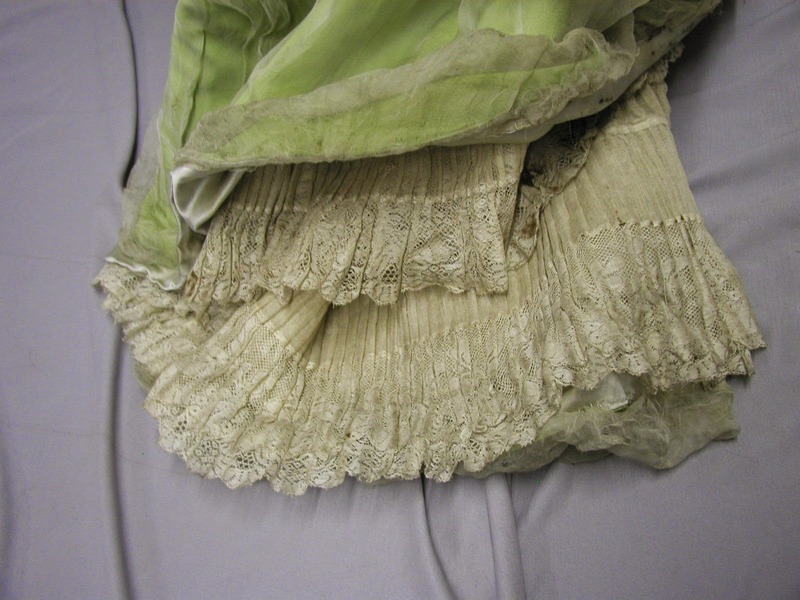 There are yards and yards of pleated silk around the bottom inside of the dress. This would be great to harvest for Doll clothing. The bidding will start at $0.99 with no reserve. 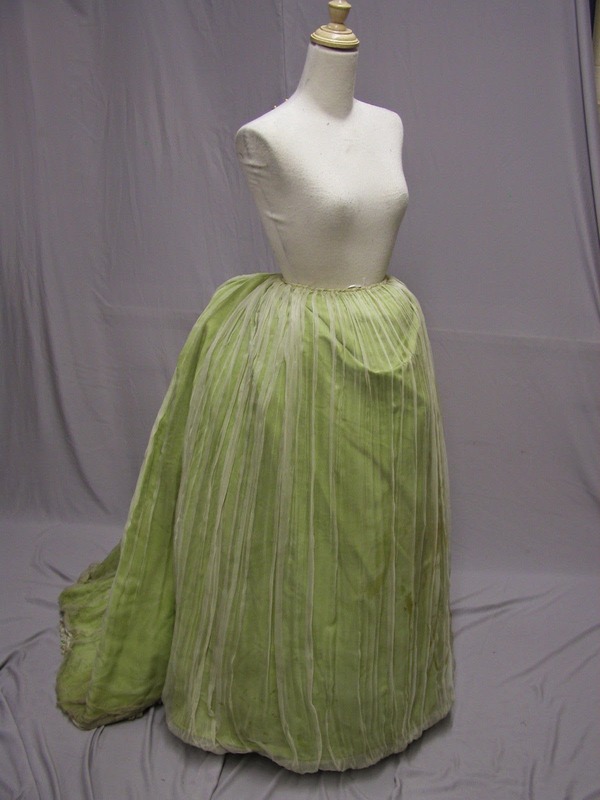 I don't think I've really seen a skirt like this before. I love the look of the plain sheer over the opaque fabric. The fact it doesn't have a lot of decoration makes me think earlier rather than later. And yes, it's sickening that someone would want to take apart such a unique piece to make doll clothing. Hello! I just came accross with your awesome blog, and as I saw you don't have many comments, I thought you deserved at least some words for your perseverant work! :D It's a wonderful blog, I'm in love with all the garnments you show, especially with the 1920's and the 1860's pieces, which are my favourite decades. Congratulations for your blog, and sorry for my English too! haha Regards! :-) Glad you like it. I should have some more true antique pieces to put up in the next day or two. I LOVE the balayeuse! All those tiny pleats!